I have seen many of these types of articles written by other strength and conditioning professionals and personal trainers. These are just 4 thoughts that popped into my head while thinking about things that I have come across in the strength and conditioning field. A few of these thoughts might be common sense or re-affirmations, but they are thoughts that I thought to myself “Why couldn’t I think of this sooner?” These are also my opinions only. This is probably under the “common sense” category. I have seen many sets of exercises where reps 1 and 2 look perfect, but reps 4 and 5 don’t. Watch your athletes perform a warm-up set with a lighter weight. Their technique should be perfect. When the heavier load is used, the only difference in the reps should be the speed of the movement. If that isn’t the only difference, then the load is too heavy for the reps prescribed. This is when injury has the best chance of occurring. The timing of this “thought” is funny as I am actually posting this right after an article by Jim Reeves- The Front Squat/Back Squat Debate: Part 1, was posted on StrengthCoach.com). I am loooking forward to part 2. This one has actually been part of my philosophy for some time. The number 1 reason that I prefer Hang Cleans and Front Squats is because they are safer. Number 2 is that I don’t think that the perceived advantage of the power clean and the back squat is better than the hang clean and the front squat. Earlier on in my career when I was an intern or a Graduate Assistant, I would see many versions of the power clean and the back squat. What I would sometimes see is far too many athletes performing pulls from the floor and back squats incorrectly. For example, some athletes may have been rounding their back or the bar may have been too far from their body. What I noticed is that not many people are built to pull from the floor. For example, there is difference in proper body alignment at the start of a pull from the floor for a 7 foot basketball player versus a 5 foot 9 hockey player. Hang Cleans are more consistent as we coach the lift to start right above the knees. Everyone looks good across the board as the arms are straight and the hips are back. Also, when you look at the Power Clean, specifically the 2nd pull, how different is that from a Hang Clean? By Olympic lifting from the hang position, we are taking away the deadlift-pull out of the exercise. I am sure the Olympic weight lighting supporters will definitely disagree, but the key is that I am referring to athletes who aren’t Olympic weightlifters. This doesn’t apply to just hockey players, but all athletes in general. The Front Squat has been a safer alternative to the Back Squat for us. I continue to see good technique with my athletes- consistently. Upright torsos, proper elbow positioning, depth, and proper load on the bar, allow us to get our double leg strength work in. With the addition of the Goblet Squat to the program, we are not even considering implementing any versions of the back squat. Another note about Hang Cleans and Front Squat is that the Front Squat compliments the Hang Clean. Using heavier loads with the Front Squat will help athletes when they use higher loads in the clean. They will be stronger in the catch position, especially if they have to drop under the bar to a low position. This is something that has taken me a while to figure out. For a few years, I was trying to make all of our players’ assessments become “3’s” with the total result of all of the screens being a “21”. I tried to ensure that each movement of the screen was corrected. Now we will focus on one part of the screen where an individual needs to improve. For example, if a player exhibits an asymmetry, we are going to add corrective exercises to help improve that. If a player shows no asymmetries, but shows a “1” or a “2” on a movement such as the deep squat or trunk stability push up, we will then focus on that correction. 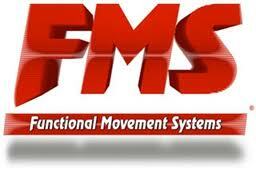 We have applied one aspect that is specific to their movement screen on a daily basis. Combined with our preventative core program, the results have been positive. This was a big Ah-Ha for me. 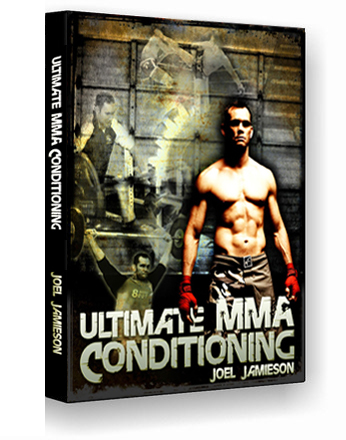 I have recently been re-reading Joel Jamieson’s book Ultimate MMA Conditioning. Although the title does technically make it an MMA conditioning book, most of the books’ principles can be applied to any athletes’ conditioning program. 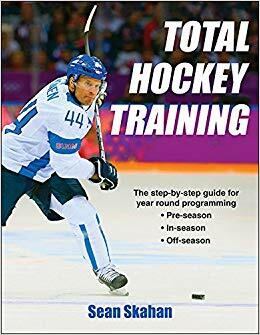 In the book, Joel talks about 6 components of conditioning which are: rate, duration, total potential of energy production, central governing control, efficiency of energy expenditure, and neuromuscular contractility (1). He talks about the importance of each one in their role in conditioning. When I read the description of the efficiency of energy expenditure, I immediately thought of several hockey players that I have had the opportunity to work with. Some players never looked fatigued in comparison to their teammates. It was honestly mind boggling when some players would have less amount of sweat on their equipment in comparison to their teammates after a game. They were also among the league’s fastest players. Often, people would be intrigued about some of our elite players’ physical abilities. How do they train in the off-season? What are their VO2 max scores? What about vertical jumps? These are questions that were always asked. Actually, some of the better players exhibited average scores on all of them. How was this all possible? After reading about the efficiency of energy expenditure in Joel’s book, my answer finally hit me. Some players’ skating skill is superior than everyone else’s. Some players in the NHL look effortless in comparison to others. Other players may have better physical components such as strength, power, speed, and conditioning, but they did not have the elite skating efficiency that some of the best players have. The other players are going to “gas out” way before them. Reference- Jamieson, J. (2009). Ultimate MMA Conditioning. Performance Sports Inc.